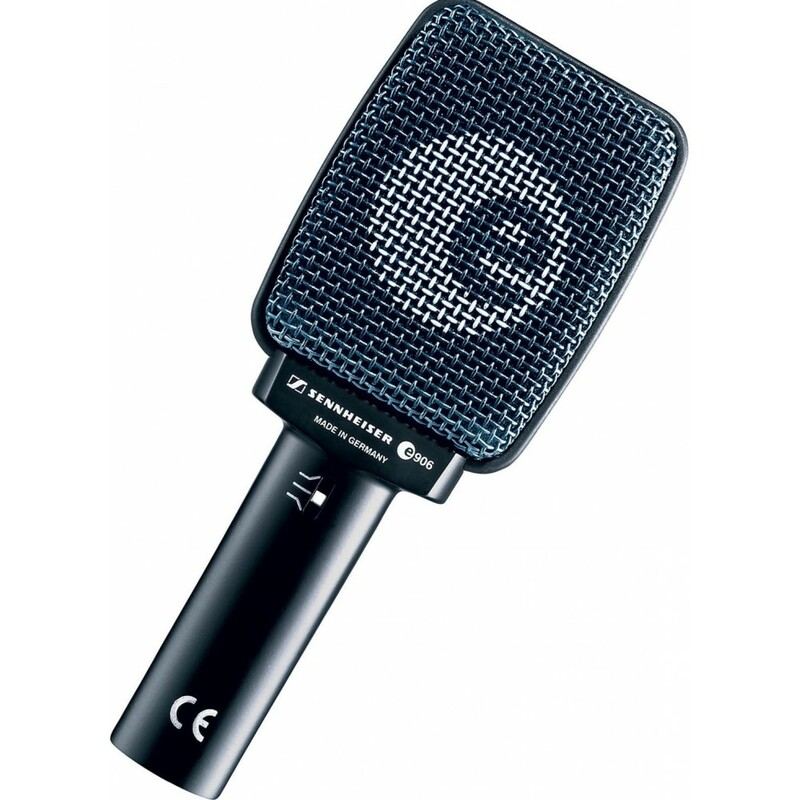 e 906, Dynamic Microphone from Sennheiser in the evolution 900 series. Mattfig's review"The Best Choice for miking a cab"
I tried a lot of different mics over the years and none have worked so well on guitar cabs than this one...I place mine just off center from the cone and it is perfect....It's so forgiving that I can setup most times without having to check it...I know exactly what I'll get from it...Everytime! James...'s review"No stand? No problem." This microphone was pretty much made for live use. I suppose you could use it to record but given all the options out there, it's really not that special for studio use. It does excel in the live environment however, as I think it was designed to. Despite the look of it, this mic has a very tight pickup pattern and it's a try dynamic to the bitter end. I think some people buy these thinking they are some kind of ribbon or even a condenser mic but they aren't. It really is just a dynamic mic. Think SM57ish in function. I tour sometimes with smaller bands, and some of the stages I play are so small that I simply don't have room for a stand to use to mic my cab. This is bad since I typically like to use an SM57 or a large diaphram condenser to mic my cabs, which both require a stand. I used to mess with special compact SM57 stands but if they break on tour, you are stuck up river. I was recommended this mic since it is able to be hung from the mic cable over the back of the cab. Pretty genius actually when I think about it. But is the sound good? Well yes it is. It's like an Sm57 almost but with more bass response. It does require a bit off low end roll off at the board with certain speakers. No big deal. The main rig I use this with is a simple AD30 with an Orange 2x12 setup. It's pretty flat. Or flat for what it is. Usually these kind of mics have crazy peaks in certain spots. Not this one. It has held up well to road abuse. I actually have 2 in case one dies on me. But it hasn't in the two years I've used it. I've heard they break easy but I've dropped mine maybe 6 times and so far so good. A little disclaimer...it's not the best guitar mic in the world and I'm not saying that. But when you don't have a stand it's probably the best you're gonna get. I wouldn't use it in the studio because it doesn't have enough character or flavor for a track. The Sennheiser E 906 is a marked improvement over the E 609, already a fantastic microphone. In this review, I will go into why it is. 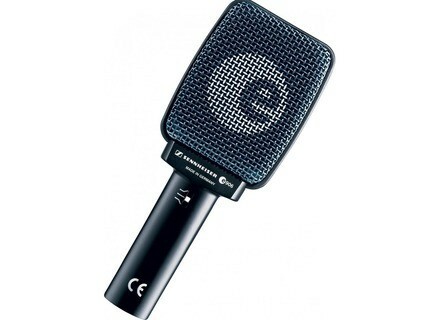 The Sennheiser E 906 is a dynamic microphone designed for picking up the sound of a guitar amplifier. It is supercardioid, which means that it has an extremely tight pickup pattern, so when using the E 906, you will never once have to worry about bleed or the sound picking up anything else. The Sennheiser E 906 has a frequency response from 40-18,000 Hz, so it naturally has a bit of an advantage over the mainstay Shure SM57 when it comes to clarity and detail. 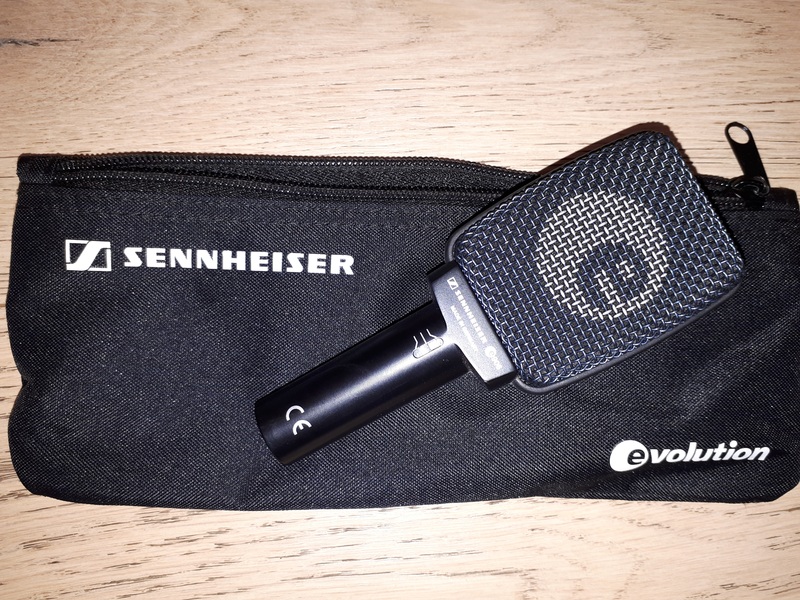 What makes the Sennheiser E 906 special, however, is that like the E 906's little cousin, the Sennheiser E 609, it is shaped and engineered specifically to have low profile. It is side address, and very flat, meaning that especially on a crowded stage or in a crowded studio, no one will ever have to worry about kicking the guitar amp microphone and ruining the sound of the gig. People often thread the XLR cable through the handle of the amp and hang the E 906 from it, which is especially easy if you tip your amp back like a normal person. What makes the E 906 special over the E 609, however, is its switch that invokes either flat, smooth, or bright sounds. 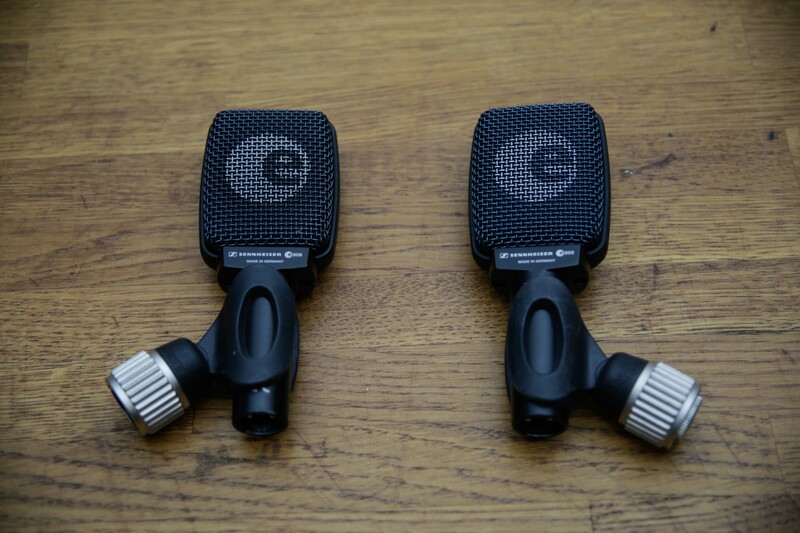 This makes the E 906 more versatile, and it captures percussion and horns just as well as it captures a guitar sound! 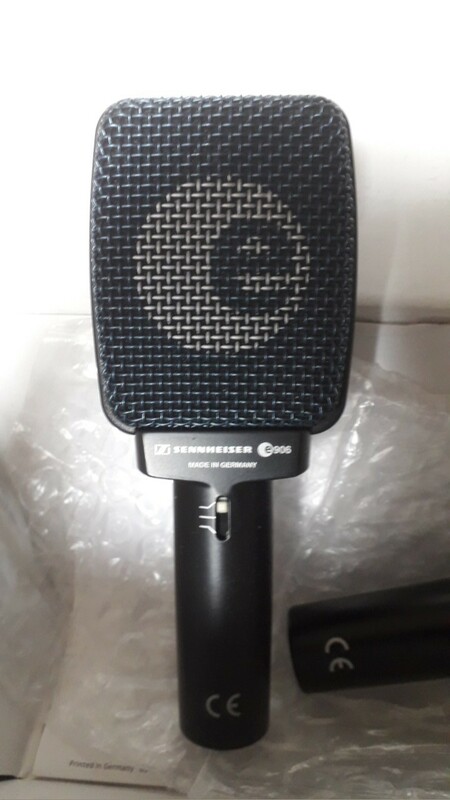 The Sennheiser E 906 is an improvement over the E 609 microphone, which was already an improvement over the SM57 when it came to guitar amps, What I did not see coming, however, was the E 906's ability to mic up other sources as well, making it markedly more versatile than the E 609. For a little more money, you have have a little more microphone, and I think it's worth it. I like the tones that this mic gets out of an electric guitar. I've used it with my Fender Stratocaster and Fender '65 Deluxe Reverb in the studio, and I couldn't believe how much better it was than the mics I'd been using (mainly the SM57...old habits die hard.) I like the variety of tones you can get from it; mic placement alone is no longer the only factor with these mics, as the three switches allow for drastically different sounds. I ended up choosing the setting based on the different types of songs I was doing, and it was almost always perfect, sometimes only requiring a slight change in position. The versatility I got out of one dynamic mic was impressive. The quality of the sound wasn't quite up there with some of the higher-end Sennheiser mics like the 409, but I think it is still great, especially for the price. 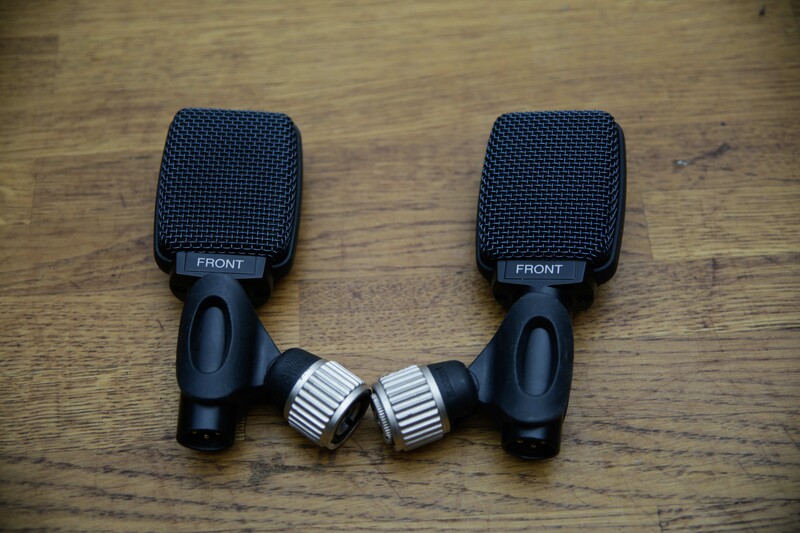 The differences between it and other good Sennheiser mics, at least as far as tone is concerned, is minimal, with the exception of the switch that gives you greater versatility, which makes it more ideal than other mics in the price range. I didn't really look at this model until I heard that Robert Randolph uses it on his guitars, so that alone made me at least curious. After trying it, I was sold. If you are a fan of Robert Randolph's tone, it's worth your while to check out this mic, because it allows his tone to ring through clear and powerfully, and it will do the same for you, if you know what you're looking for in your sound. I would highly recommend this mic to anyone with an interest in recording or gigging, especially if you are a stickler for sound quality.